Indonesian President Joko Widodo has recently visited Papua for the second time in 2015. During his visit, ‘Jokowi’ announced his plan to convert 1.2 million hectares of land into fully mechanized rice estates in the coming three years. 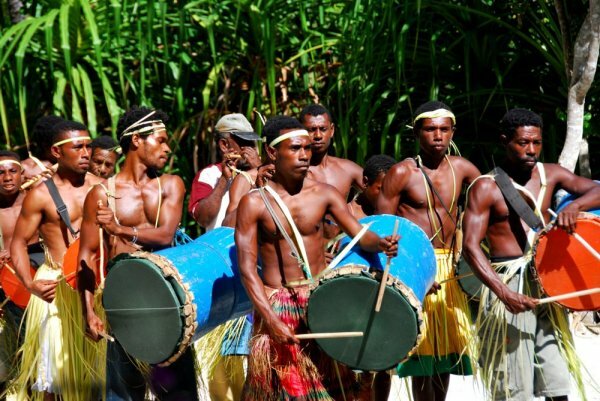 Moreover, ‘Jokowi’ stated that indigenous peoples, such as West Papuans, are the true owners of their lands and therefore, permits to develop agricultural activity in the area should be obtained with the community. President Joko “Jokowi” Widodo has just completed his second visit to Papua — ahead of two more to go in 2015, as was promised in his 2014 Christmas speech in Jayapura. Despite opposition by some religious leaders due to the unresolved December 2014 Paniai massacre, the President should be commended for his willingness to spend more time in Papua and to make some strategic decisions such as providing clemency for five political prisoners (he has promised to pardon more) and to open Papua for visits from foreign journalists. When visiting Merauke, the President announced that he would like to see the regency developed into the first modern agricultural area in Indonesia. He specifically pointed to 1.2 million hectares of land that he would like to convert into fully mechanized rice estates in three years to overcome Indonesia’s dependency on imports. He, however, openly admitted that for this ambitious plan to materialize, support from the people as the land owners is crucial. This means the President understood two issues clearly: first, that no plan to develop a large-scale agricultural area in Papua (as well as in Indonesia as a whole) should go forward without consulting and obtaining approval from the customary community; and second, in the case of Merauke, as well as Papua and West Papua provinces, that the indigenous people are the true land owners — therefore permits should be obtained from them. A legal framework has actually been provided much earlier in the amended 1945 Indonesian Constitution: “The State recognizes and respects traditional communities along with their traditional customary rights as long as these remain in existence and are in accordance with the societal development and the principles of the Unitary State of the Republic of Indonesia, and shall be regulated by law” (Article 18b (2)). Based on this principle, the Constitutional Court ruled on May 16, 2013, that the legal definition of hutan adat (customary forest) should no longer be “state forest in the customary community’s area” but “forest in the customary community’s area”, thanks to a legal review requested by the Indigenous People’s Alliance of the Archipelago (AMAN) and the customary communities of Kuntu of Riau and Kasepuhan Cisitu of Banten against certain articles in the 1999 Forestry Law. These legal opportunities should be seized by the regional governments in Papua, local administrations, as well as customary communities and their allies. As per a letter from the forestry minister to all governors, regents and mayors dated 16 July 2013, the ownership of customary communities of their respective customary forests can be legalized and formalized using a Perda (regional regulation or bylaw) only. The Environment and Forestry Ministry would then approve it as far as it is based on research conducted by a competent team formed by the head of the region. The regional regulation can serve as the basis for the provincial office of the National Agency for Land and Spatial Planning to issue communal land certificates for indigenous Papuans. The President’s statement as well as the legal breakthrough mentioned above suffices to provide a political and legal basis for Papuans to exercise their ownership rights over natural resources. Moreover, this can be one of the most strategic answers to the antagonistic relationship between Papua and Jakarta caused by the exploitation of Papua’s natural resources — including land for various agricultural development projects, without respecting the rights of indigenous people. When an investor would like to utilize certain areas of customary land, it can negotiate directly with the people, mediated by the local government as needed, so that a win-win agreement on land lease, profit sharing or equity participation can be reached. Treating indigenous people as an equal partner in any type of business endeavor will guarantee the long-term success of investment in extractive industries in Papua.